In what has become a staple of the North American leg of her Melodrama World Tour, Lorde performed another song cover at her April 4th show in Brooklyn. This time, she was joined by Jack Antonoff on acoustic guitar and piano, who helped produce her Grammy-nominated album Melodrama. She performed St. Vincent’s “New York,” which Antonoff co-wrote and co-produced, with Antonoff himself on guitar. 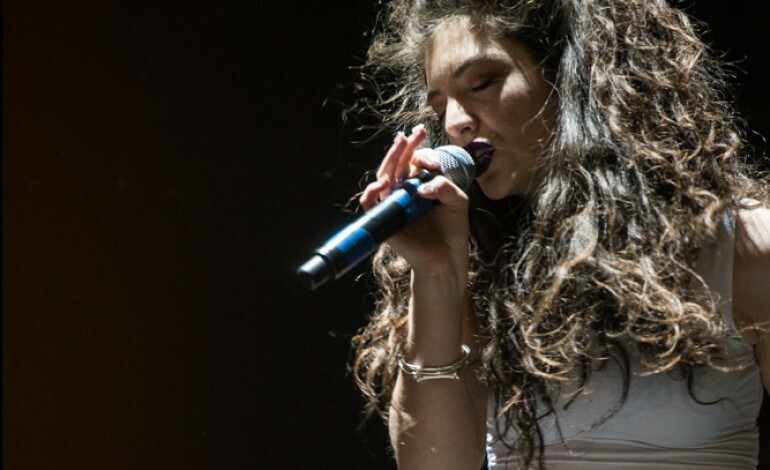 They then segued into her song “Hard Feelings.” This is the latest in a string of primarily city-specific live show covers from Lorde on her current tour — Frank Ocean’s “Solo,” Kanye West’s “Love Lockdown” and “Runaway” in Chicago, Drake’s “Shot For Me” in Toronto, Prince’s “I Would Die 4 U” in Minneapolis — and tonight was no exception. Lorde currently has seven dates left on the North American leg of her tour with her next stop at the Prudential Center in Newark, NJ on April 6th.